The competition for spots in Australia’s Ashes squad just got even hotter due to a report yesterday the squad will not be named until five days before the Tests start, allowing time for players to audition for Australia A in England. The last time Australia toured England for the Ashes they announced their 17-man squad a whopping 14 weeks before the first Test. But yesterday Fox Sports broke the story that this time around Australia reportedly will not name their squad until July 27, with the first Test to start on August 1 in Edgbaston. What this means is that, before picking their squad, the selectors will be able to audition players in three four-day matches in England in July. Australia ‘A’ will play Sussex from July 7-10, followed by a match against the England Lions from July 14-17 and then a fixture between Australia A and Australia from July 23-26. This gives serious leeway for players to either surge into the squad or fall out of contention given the short attention span the Australian selectors have been guilty of in the past. A player who right now looks like a lock to play in the first Test could easily find themselves barely scraping into the squad if they struggle in those three matches. Meanwhile, a cricketer who hardly even seems in contention to make the squad right now could vault out of nowhere into the starting XI if they run amok in those fixtures. This situation will get even juicier, even wider open to surprises if Australia make the final of the ODI World Cup in England. The World Cup final is on July 14 which would mean that most if not all of the members of Australia’s ODI squad would be ruled out of Australia A’s first two matches. This would open up a lot of slots in the Australia A side for some serious bolters to press their Ashes cases. Australia will announce their World Cup squad on April 23 according to the Fox News report and there is only player likely to feature in the World Cup who won’t be in contention for the Ashes – Adam Zampa. So if Australia do make the World Cup final that will leave at least a dozen Ashes contenders out of the first two Australia ‘A’ four-day matches in England creating golden opportunities for some Ashes dark horses. 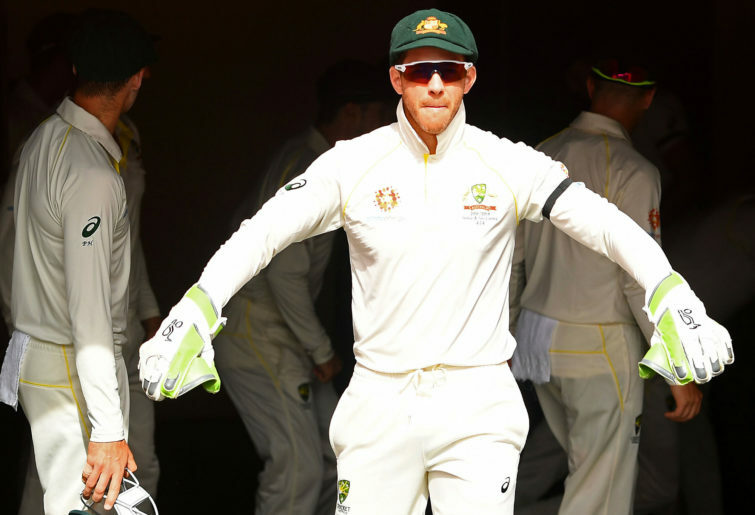 There are already some obvious picks for that Australia A team like Test incumbents Marcus Harris, Joe Burns, Travis Head, Kurtis Patterson, Tim Paine and Marnus Labuschagne. Fighting it out for the remaining Australia A berths, assuming the ODI players will be unavailable, will be the likes of Peter Siddle, Chris Tremain, Matt Wade, Glenn Maxwell, Mitch Marsh, Jackson Bird, Will Pucovski, Trent Copeland and Michael Neser. It is entirely possible that any of those nine players I just listed could hoist themselves into the starting XI for the first Ashes Test if they dominate in the three Australia A matches. The selectors have shown they like to pick on current form so commanding displays using the Dukes ball in English conditions will surely sway them. Buckle up folks, the Ashes selection scenario just got a whole lot more complicated.